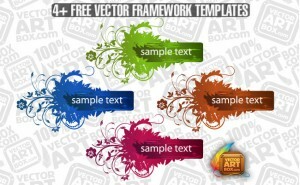 You can free download new one vector framework template. Grunge elements, floral leaves, buds, swirls and curves are decorated this frame. Free for commercial use.